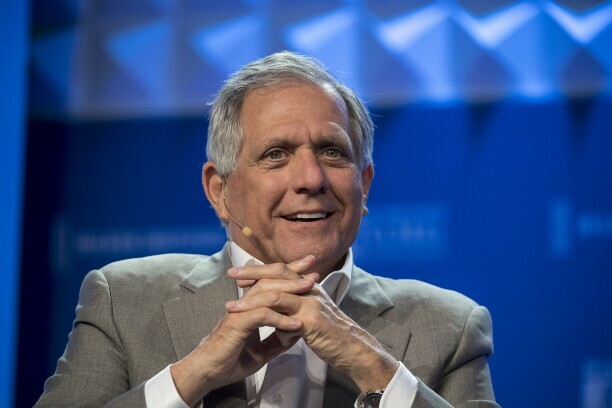 Leslie 'Les' Moonves, president and chief executive officer of CBS Corp., speaks at the Milken Institute Global Conference in Beverly Hills, Calif., May 3, 2017. When executive misconduct comes to light in the public eye, corporations often turn to Big Law firms with impressive pedigrees to lead their internal investigations. Sometimes, the investigation requires two firms. That’s what the CBS board of directors has done in the wake of a feature story in The New Yorker, in which six women accused CBS chairman and CEO Leslie Moonves of sexually harassing and intimidating them while they worked at the company. The internal probe will be led by Covington’s Nancy Kestenbaum, a former prosecutor in the Southern District of New York, along with Debevoise’s Mary Jo White, former Securities and Exchange Commission chairman. Following harassment allegations against Harvey Weinstein and the growth of the #MeToo movement, many Big Law firms have ramped up their investigations practices, launching sexual harassment task forces often led by high-profile former prosecutors. In January, Los Angeles Times publisher Tronc hired Sidley Austin to investigate allegations against the paper’s senior executive, and in February, Wynn Resorts hired Gibson Dunn to investigate allegations against casino mogul Steve Wynn. Covington and Debevoise have both become go-to firms for high-profile misconduct investigations. Mary Jo White previously led an investigation into a professor’s alleged sexual misconduct at the University of Rochester, which disclosed that it paid Debevoise $4.5 million. Within days of the Weinstein news breaking in October, The Weinstein Company hired Debevoise’s John Kiernan to investigate claims brought against the production company. Kestenbaum, co-chair of Covington’s white collar defense and investigations practice group, is currently representing the U.S. Olympic Committee in connection with sexual abuse allegations. She previously led independent investigations of sexual misconduct at several academic institutions, including Choate Rosemary Hall and The Brearley School. Covington’s internal investigations team, which counts approximately 170 lawyers, also includes former U.S. Attorney General Eric Holder and Lanny Breuer, who previously led the criminal division at the Department of Justice. Holder was tapped by Uber to lead an investigation into alleged patterns of sexual discrimination at the company. Covington’s 13-page public report on its findings was published last summer. In March, Uber hired Covington partner Tammy Albarran, who co-authored the report, as a deputy legal counsel. A representative for Covington declined to comment on the firm’s investigation at CBS. A spokesperson for Debevoise didn’t respond to a request for comment.